The God the new atheists reject is not the actual God of the Bible. They reject a caricature of Him. They think the God of the Bible is some kind of superhero, akin to Zeus or Thor—a limited being inside the universe that theists call on to fill the gaps that science can’t explain. He’s also morally arbitrary and can fly off the handle at any moment. Unfortunately for Dr. Dawkins, this strategy only highlights his ignorance of biblical theism. The God of the Bible is not like Zeus, Apollo, Baal, and the rest, or even what the Bible calls an “angel.” God is not a created being among other beings inside the universe. He is Being itself and transcends the entire created order! He is the ultimate and sustaining cause of all created things, including angels, human beings, and the material world we call the universe. This kind of God can be known by all people because God has revealed Himself through two books: the book of nature (which everyone has) and the Bible. To be fair, many Christians don’t have the proper conception of God either. They think God is something like a big angel or just a bigger version of themselves. Perhaps they haven’t studied the context of certain Bible passages to discover what the Bible actually means by “God.” The God of the Bible has some of the same attributes of Aristotle’s “unmoved mover” and many, if not all, of the attributes cited by great philosophers and theologians such as Augustine, Aquinas, and Anselm. Whether or not this Being actually exists is irrelevant to my point right now. My point right now is that when most atheists attack what they think is the God of the Bible, they are actually attacking the equivalent of an Old Testament idol—exactly the kind of invented being the true God kept warning Israel was not real. Orthodox Christians don’t believe in the finite, created god Richard Dawkins doesn’t believe in either. Dawkins is knocking over a straw god, not the self-existing, eternal, immaterial, simple, all-powerful God of the Bible. 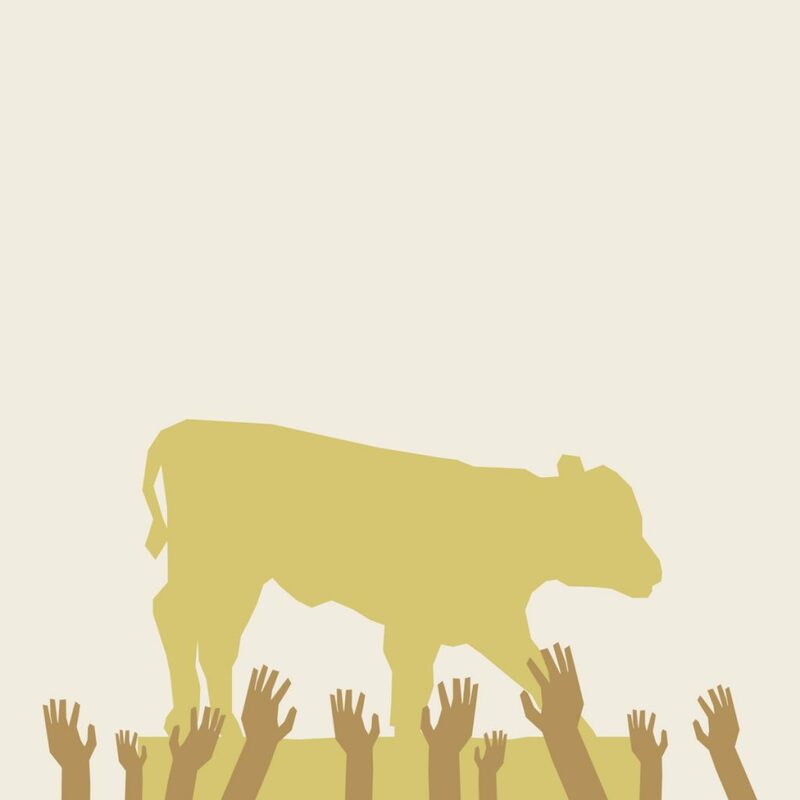 So ironically, Richard Dawkins, orthodox Christians, and the true God agree on something—idols don’t really exist! While the arguments in The God Delusion may cause us to doubt the existence of Zeus, Thor, and the like, they don’t get within a thousand miles of the God of the Bible. Neither do the arguments of Dawkins’ atheist colleagues. But we’ll get to that later. 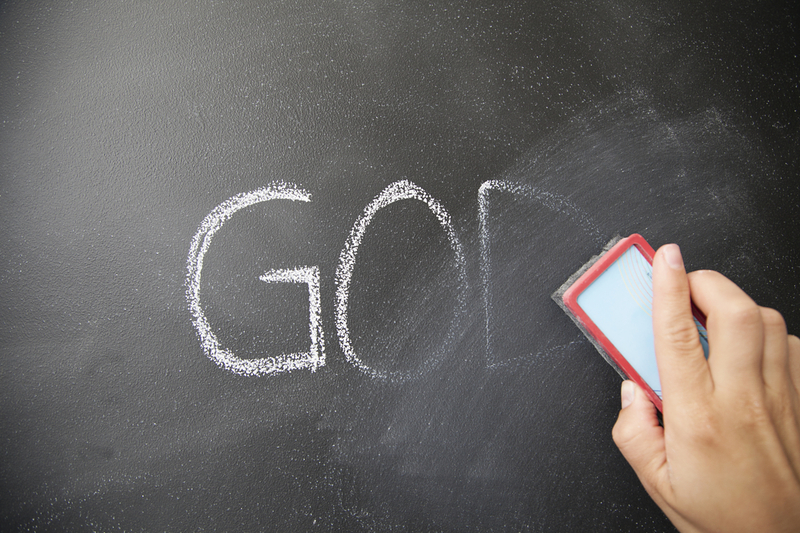 Now that we have a working idea of what “God” means, what does it mean to be an “atheist?” Is that someone who believes that such a being does not exist? Not according to some atheists. 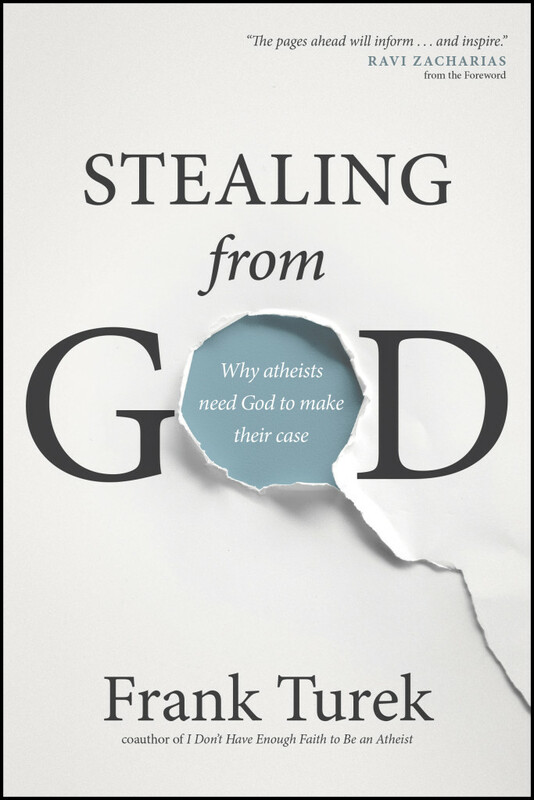 You’ve been reading Stealing from God: Why Atheists Need God to Make their Case by award-winning author and speaker Frank Turek. Continue reading here. God, as described in Scripture, is only a caricature of God, not in the remotest sense anything like God. on a scale of 1 to 1,000, Scriptural descriptions of God would be about a 2 or 3. Teachers, then and now, are limited by their audience’s aptitude and fishermen and former Egyptian slaves had little theological aptitude, hence the personified caricatures, which the God who created everything for trillions of light years in all directions, is nothing like. So if Christians could jettison their indoctrinated views and “grow in the knowledge of God, then we could out-flank atheists and cut the legs out from under each of their tenets. Scripture is the self revelation of the one, true God. If anyone is looking to any other source than the Spirit inspired Word , he is deceived. He’s got this wrong. It’s not that atheists don’t believe in certain versions of gods. They don’t believe in any gods whatsoever. This is a obvious mischaracterization of the atheist position and a snowman argument. It’s A – theist. Meaning non theism, of any kind. They are not A-Christians or A-a certain set characteristics for a version of a god. No no no. They are atheist. 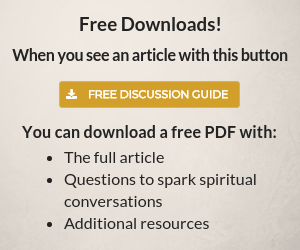 This article is clearly meant for ppl of faith who have not explored the atheist position. If one honestly did take the time to understand it they would see this article misses the whole point.